My friend Dora finished the center part of her Dear Jane quilt. It is thrilling to see the joy in her smile! 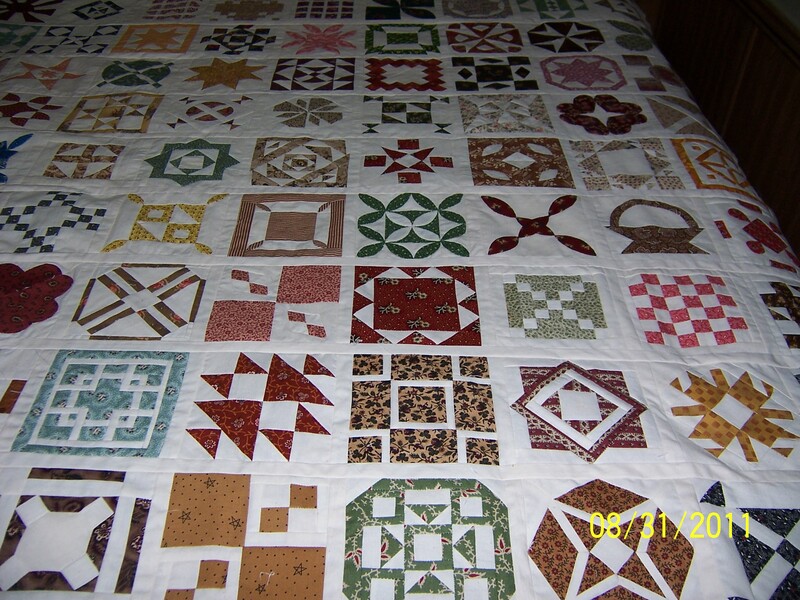 The blocks in this quilt are 4-1/2 inches. There are 169 blocks in the center of the quilt. Dora is now working on the border, which has pieced triangles. Dora might not want this included in this post, but she was diagnosed with cancer last year. She went thru treatment, had a bit of a rough time. It is heartwarming to see her smile. 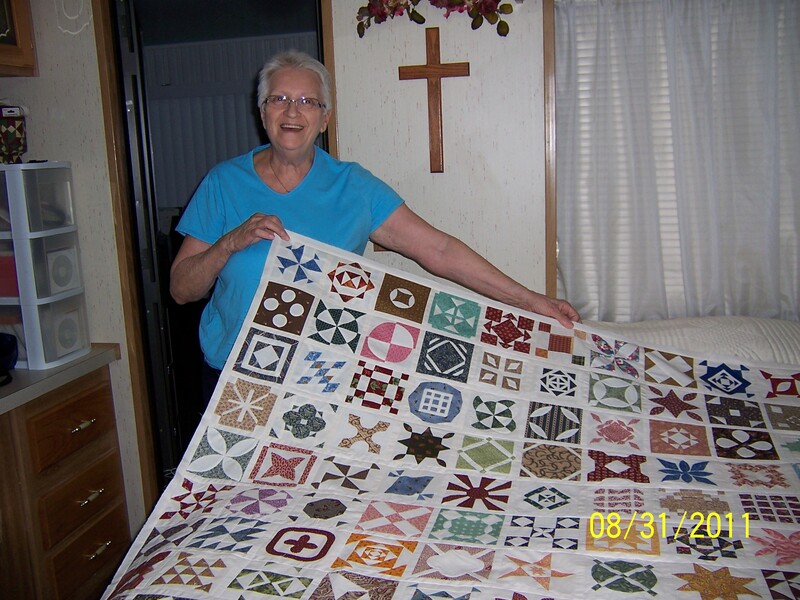 This quilt is a remarkable accomplishment.